A couple of weeks ago we were in the Silicon Valley and stopped at the Intel Museum in Santa Clara. The museum, billed as a “fun, interactive learning experience for children and adults,” is housed in the Robert Noyce Building on the Intel campus. The museum space has a futuristic feel - what would you expect - all blue and white and looking like the cross between the inside of a space station and a computer chip. Intel was founded in 1968 by Robert Noyce and Gordon E Moore of the Moore’s Law fame. Most of us are familiar with Intel from the “Intel Inside” publicity of the 1990s as Intel was the maker of the chips inside many computers of that time. However, they started out in the 1970s producing memory (RAM and ROM) switching to chips in the early 1980s under the leadership of Andy Grove. In our device-obsessed world, where we spend a good part of our day staring a device screen of some sort, it’s hard to appreciate at first glance what is shown in the museum. What are 4004, 8080, and 80386 chips anyway? The Intel 4004, released in 1971, was the first complete CPU (microprocessor) on one chip. It has a data bus width of 4-bits - a measure of the size of the data that could be worked with in one instruction cycle. The 8080 was another step along the way, an 8-bit processor introduced in 1974. The 80386 is part of the x86 architecture, 32-bit microprocessor introduced in 1985. And so on. Each was an important step on the way to where we are today. Each step an improvement over the last step. At the same time we were visiting the Intel museum, we were reading and listening to the book Antifragile: Things That Gain from Disorder by Nassim Nicholas Taleb. I was drawn to Chapter 20: Time and Fragility where Taleb talks about what happens when people try to imagine the future: they basically start with the present as a baseline and add more to that. 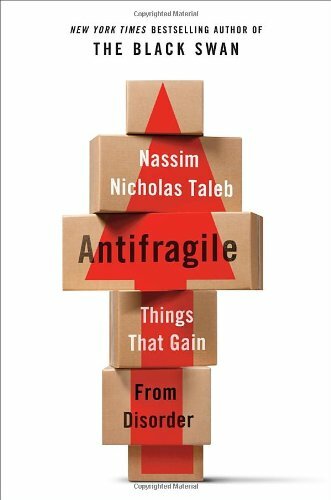 Taleb suggests that the better approach is to reduce, simplify the vision of the future which is in accordance with the notions of fragility and antifragility discussed in his book. Maybe, this is part of the scratch-my-head reaction to the Intel exhibits? My mind is trying to do a reverse extrapolation. I know where we are today and I’m looking at older technology trying to see the arc that connects it and all I can do is “add” to the older technology but it doesn’t make sense. Maybe we can only extrapolate reasonably successfully from general ideas, not a snapshot of the technology at a given time? The day after the visit to the Intel museum, we drove from the Silicon Valley back home to Seattle. The trip took 16 hours total with 2 hours’ time stopped for eating and stretching. All the way back we were plugged into our devices: listening to books, surfing the web and looking for good coffee (very hard) and interesting restaurants. Neither of our devices, an iPhone and Windows Phone, is (ironically) running an Intel chip, something that Intel is working to fix. Left: Antifragile Book Cover, Right: Intel Museum Advertisements from the Past: Fragile?